Just in time for the launch of the new Jurassic 20th anniversary and 3D re-release Josh Collin a member of the Minecraft community has pain-stakingly re-created the island of Jurassic Park in his Xbox 360 edition of the game, and has created a video tour for us all to enjoy complete with John William’s sound track. The the six-minute Minecraft Tour takes viewers from the helipad, through the visitor center, and around the key landmarks featured in the film. 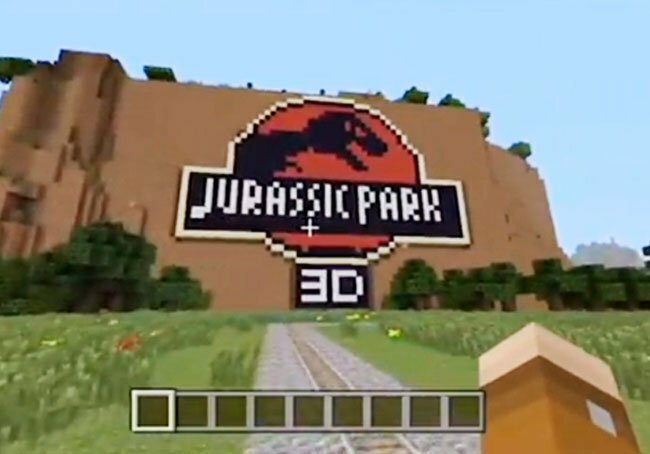 Josh Collins goes by the name of An Angry W0lf on Xbox Live and has done a great job of re-creating the Jurassic Park island in the popular Minecraft game, with no expense spared.